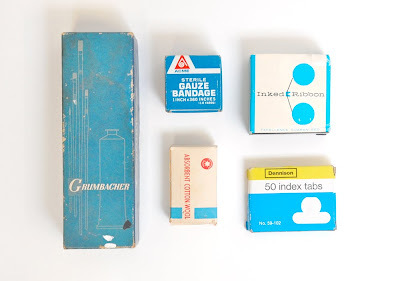 Vintage packaging (part of larger collection). I'm particularly drawn to the Grumbacher box. I'd love a table with that graphic screened on it. It's nice to see someone else gravitates to similiar things....would love to see the larger collection! I like this post, it's useful with me. Thank you very much!